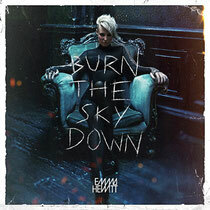 On Friday August 3rd, the official release party of Emma Hewitt’s ‘Burn The Sky Down’ album will take place at LA’s Exchange, in collaboration with Insomniac Events. As the first vocal artists to do this kind of show with the American event organization, Emma’s got a big spectacle in store for the show in downtown Los Angeles. After the grand success of the digital release, July 27th brings fans of the Australian singer/songwriter the physical and limited edition of her ‘Burn The Sky Down’ album. Both the original versions as well as remixes by Armin van Buuren, Cosmic Gate, Morgan Page, tyDi, Venom One, Shogun, Arnej, Dabruck & Klein and many other producers, can be found on this release. Fusing ambient and pop with electronic music, each track on ‘Burn The Sky Down’ reveals a new side of the multi-talented songstress. The album is available for pre-order on Armadashop.com, and will be released on Armada Music on July 27th. At the moment, Emma is putting the final touch to the show of the official release party on in LA’s The Exchange. Including DJs Shogun, Norin & Rad, Kristina Sky, a full club set of ‘Burn The Sky Down’ remixes which Emma will perform live, as well as a special acoustic session with live guitar, the show will be the celebration of the physical album. For tickets and more info, check www.exchangela.com. For more info on Emma Hewitt, check www.armadamusic.com or www.emmahewittofficial.com.